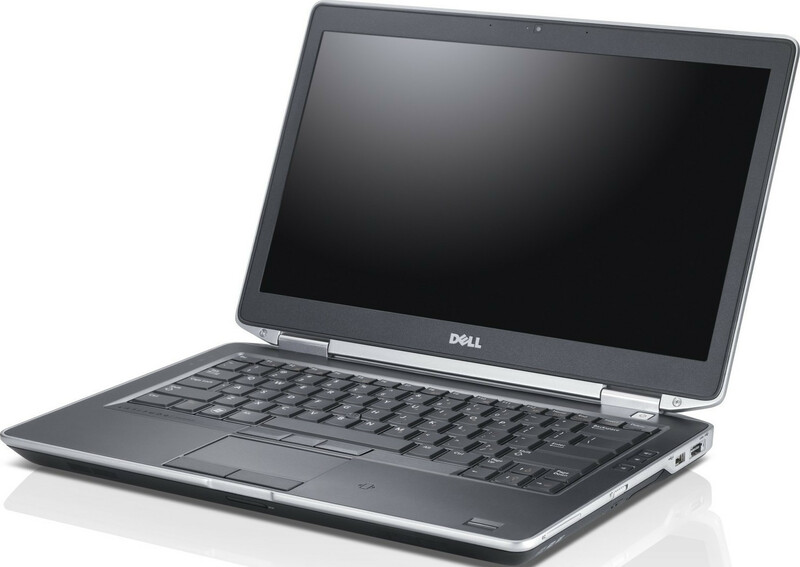 Bán Laptop Dell Latitude E6430 - bán Dell E6430 cấu hình I5-3320M, Ram 4GB, HDD 250GB, Vga onboard, máy có Webcam, đèn phim. 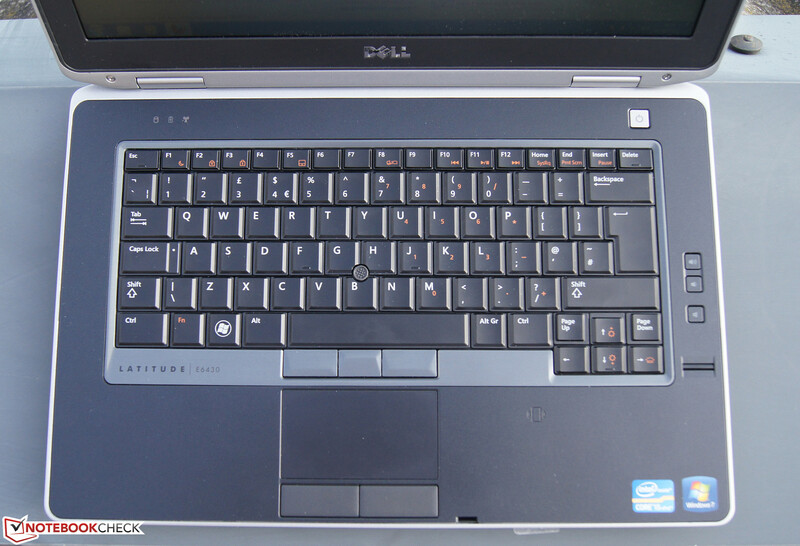 Dell E6430 giá 5.9 triệu. 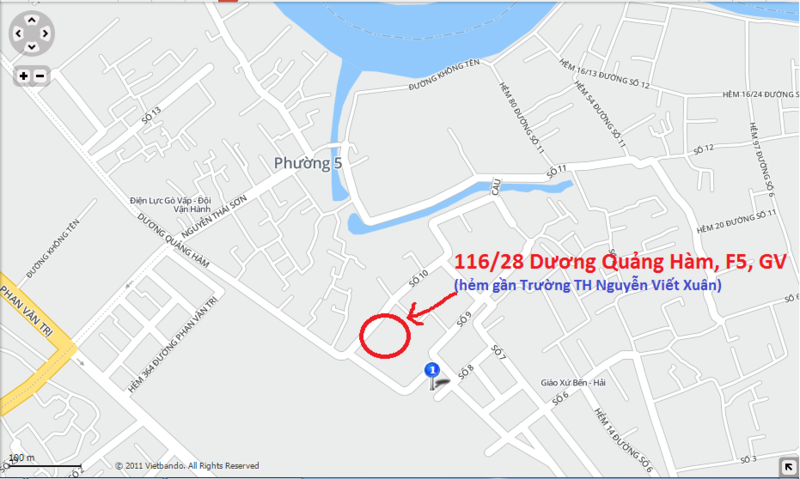 Bảo hành 3 tháng. 3. 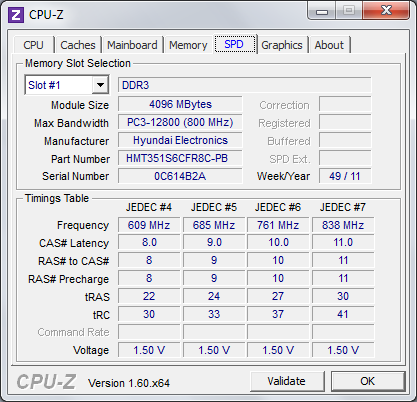 CPU có thể nâng cấp lên Core I7-3520M (loại thường 2 nhân, 4 luồng) hay I7-3720QM (4 nhân, 8 luồng cực mạnh) luôn. 4. Ram nâng cấp Max 16GB. 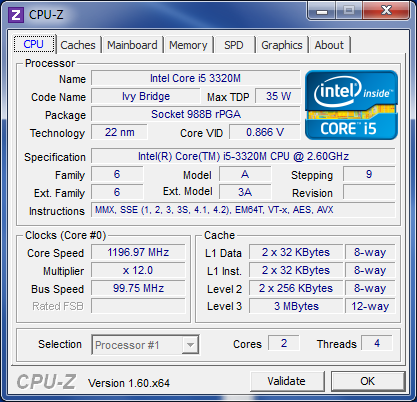 Intel”s integrated graphics processor (IGP) of the latest Ivy Bridge processor generation, the HD Graphics 4000 in our case, accelerates all routine tasks, starting with HD videos up to games, smoothly in low details. 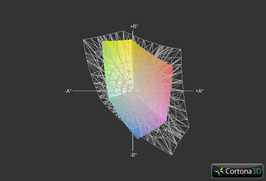 If you are neither a gamer nor work in the CAD field, you probably do not need a dedicated graphics card nowadays. Our test device lags behind Lenovo”s T430 by 70% in 3DMark Vantage, but it is not a tragedy and simply exhibits the speed advantage of the latter”s dedicated NVS 5400M in contrast to the HD Graphics 4000. However, even when compared with laptops using the same CPU & GPU - we opted for Fujitsu”s 12-inch Lifebook P772 here - our laptop is roughly 25% slower. The Fujitsu is only 12% faster in 3DMark 11. This comparison is put in perspective considering that some laptops that feature the same graphics are approximately 40% slower than our test device. The following gaming benchmarks are more significant in real-life anyway. As a bestselling building strategy game, Anno 2070 has always been a part of our test repertoire and is plays well even on somewhat slower laptops. The E6430 produces very smooth gameplay on the screen with 42 frames per second in low details and a resolution of 1024x768. 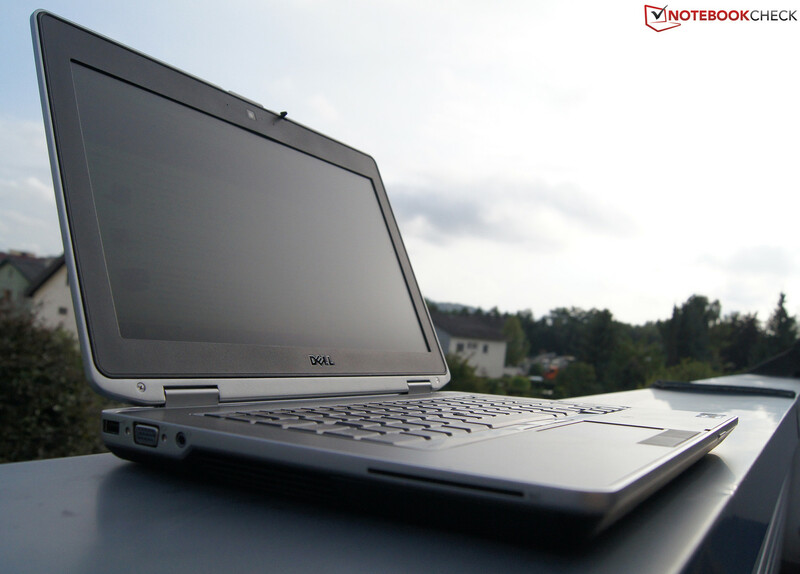 It is thus also one of the fastest laptops featuring Intel”s HD Graphics 4000. Playable refresh rates of 21 fps are still achieved in medium details and the native resolution of 1366x768. 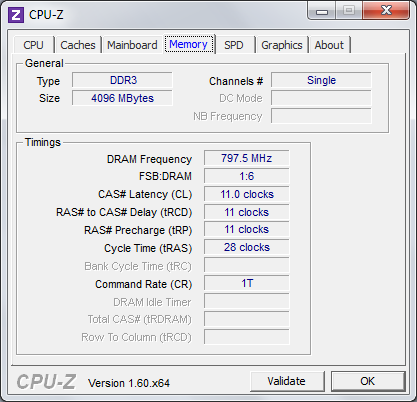 However, high settings should be avoided because 14 fps leads to considerable stuttering. FIFA 2012 is fairly easy on resources and thus pleases sport fans. 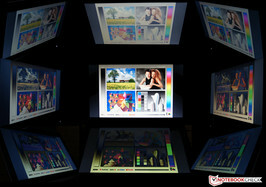 The Latitude still allows high details and 2 x anti-aliasing in its native resolution. 31 fps are still playable; everything below that is jerky. 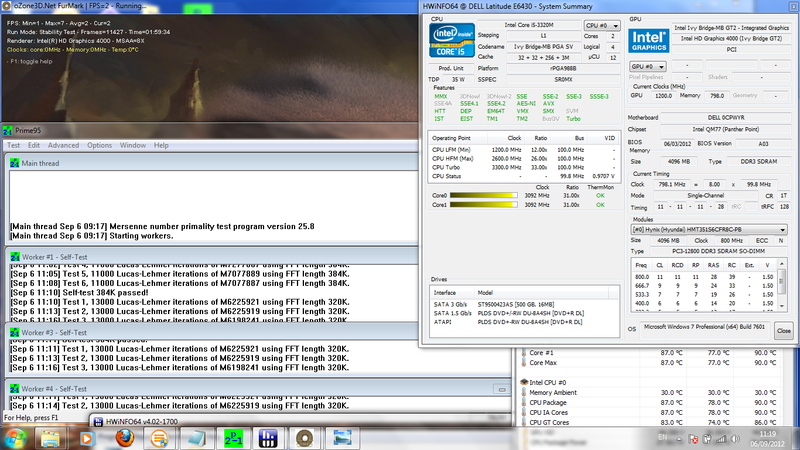 Compared with laptops using the same GPU, the Latitude is in the upper midfield and stays fairly quiet at the same time. 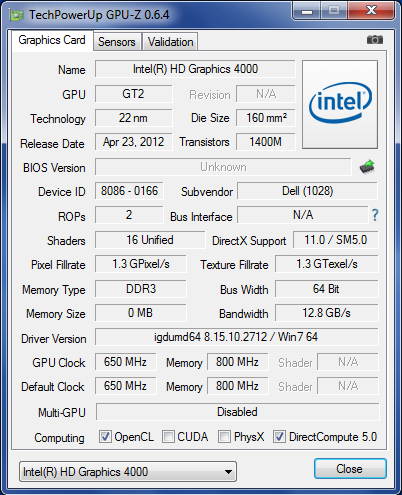 Finally, Metro 2033 proves that our laptop”s IGP is not designed for games. Most scenes can still be enjoyed fairly smoothly with 30 fps in low details and a resolution of 800x600 in DX9 mode. 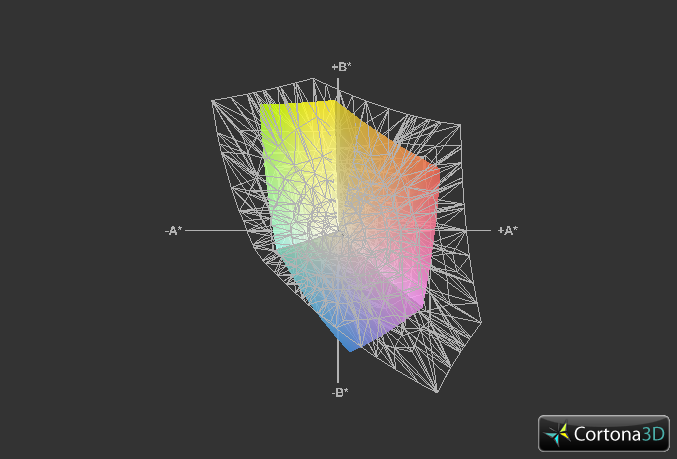 However, the native resolution and medium details in DX10 mode is closer to a flip book due to 15 fps. 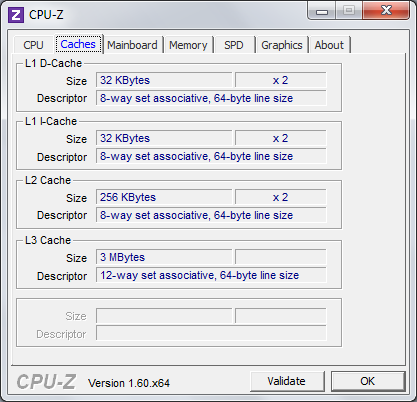 Basically, it is possible to play an occasional game on the Latitude in minimum settings. There are, however, more suitable laptops for games on the market. The Latitude E6430”s fan behavior is very convincing. 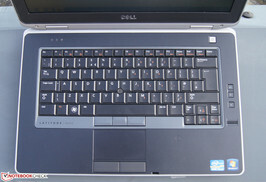 In addition to the three standard Windows energy-saving modes, Dell includes a few of its own. Among them, you will find the "Quiet Mode" where the fan”s speed stays on the lowest possible level and the processor”s performance is completely adapted to the temperature management. 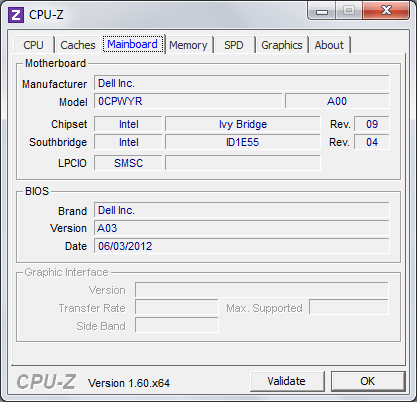 So, all performance reserves made available by the low fan speed is furthered to the processor. This works well in practical use. Although the laptop is never completely quiet when idling, its fan and hard disk noise are at an acceptable level of 34 dB(A). Nevertheless, the available power is sufficient for all routine tasks - from watching an HD video on YouTube up to office tasks - at a consistent noise level. The fan”s noise is not a high-pitched squeal, but rather has a pleasant characteristic and it spins along in a low-frequency, quiet manner. 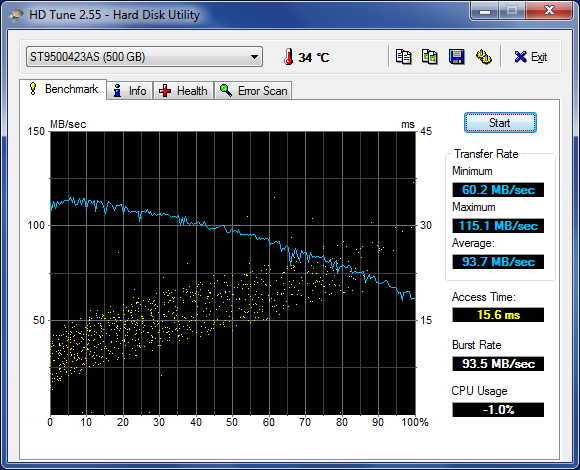 Up to 41.3 dB(A) are achieved during full load. However, the average of 38.4 dB(A) is within the range of the competing products used for comparison. Many are even a bit quieter when idling, but this is leveled again by the somewhat louder, maximum full load rates that were determined. If we had to choose a winner, it would be the ThinkPad T430 because of its measured rates. However, we can also warmly recommend our Latitude due to the well-designed energy-saving and fan profiles. The temperature produced on the Latitude E6430”s top and bottom is agreeably moderate. 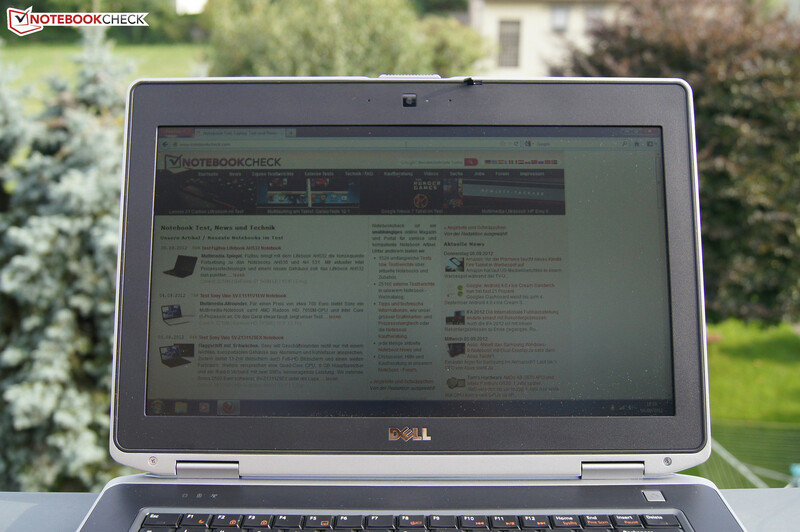 During low load, or while performing routine tasks such as Web surfing or Office tasks, the top and bottom stay nice and cool with approx 29 °C and 29.6 °C. 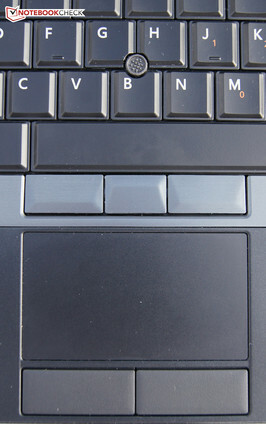 The fact that the lower vents are only placed in the center alongside the extreme opening angle results in a recommendation for use on the lap. 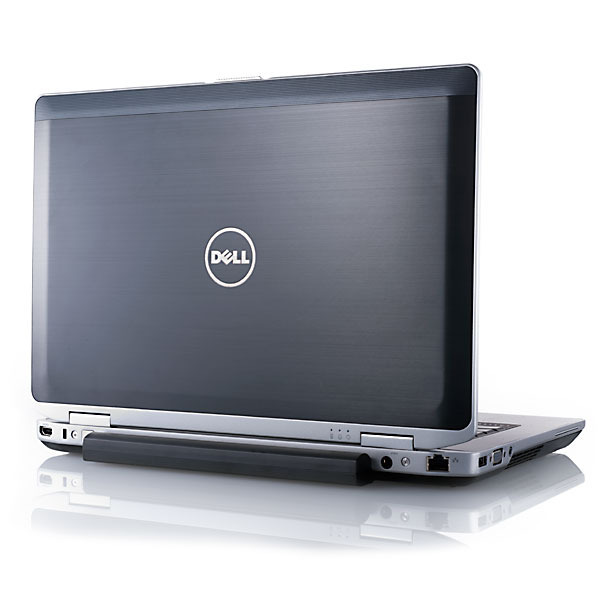 Obviously Dell did some thinking: The laptop can "breathe", does not get too hot and we do not have to twist or burn ourselves when on the go. The Latitude reveals its hot-headed nature after an hour of stress testing. Now we measure up to 49 °C on both the top and bottom in the vent”s area. The surfaces get quite warm with an average of 39 °C. The ThinkPad T430 even gets a bit warmer, the Tecra R840 is a bit cooler and the Elitebook 8460p stays almost unperturbedly cool (only around 30 °C). These extreme loads are however only achieved during full load induced by simultaneous use of Prime95 & FurMark for one hour. 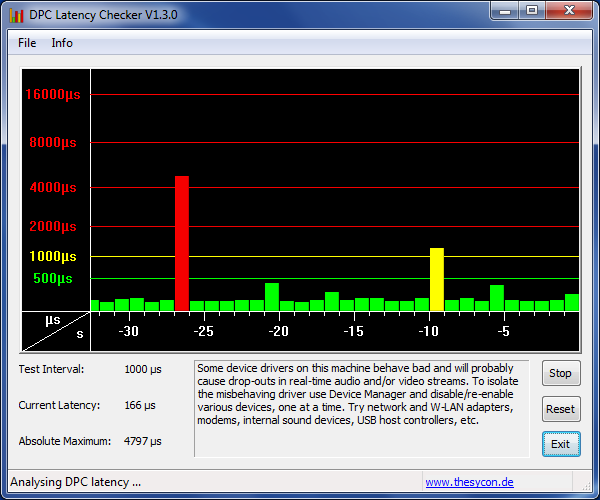 This is unlikely in a business laptop”s everyday use; the low load test is more significant here. Nevertheless, we really like the fact that both the CPU (3.1 GHz) and the GPU (1.2 GHz) exploit Turbo Boost to the full even after an hour of stress testing at a core temperature of roughly 87 °C. Even throttling is not an issue - great! The installed stereo speakers are of fair or average quality. Thus, they do not feature an exceptional sound, but do not exhibit any significant weaknesses either. The output quality is acceptable although there is a somewhat muffled characteristic. In return, the sound is fairly balanced. The trebles neither make an exaggerated nor overly sharp impression. The speakers do a good job with voice output. Although basses are delivered, they are really only implied. The maximum volume is loud enough to fill a medium-sized room with sound. Nevertheless, it is recommended to connect a sound system because the given sound is not especially satisfactory here. 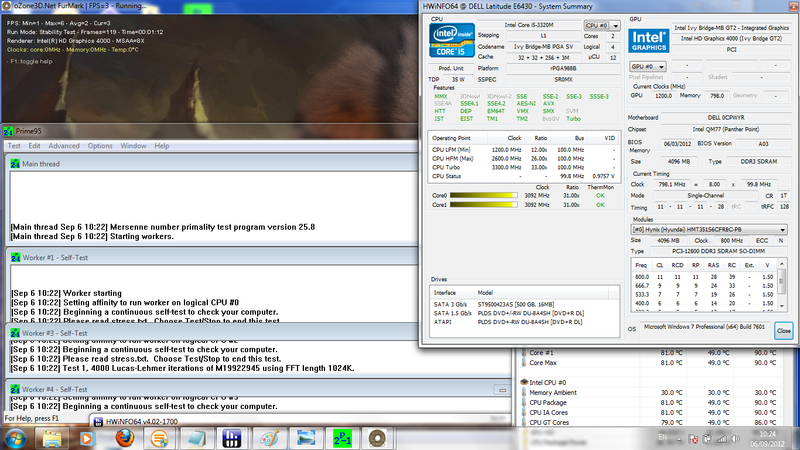 Our laptop proves to be very energy efficient with a power consumption of 7.4 - 10.7 Watts at idle. Particularly the ThinkPad T430 and Elitebook 8460p have to provide more and brighter pixels alongside a dedicated graphics card and thus need around 5 Watts more. 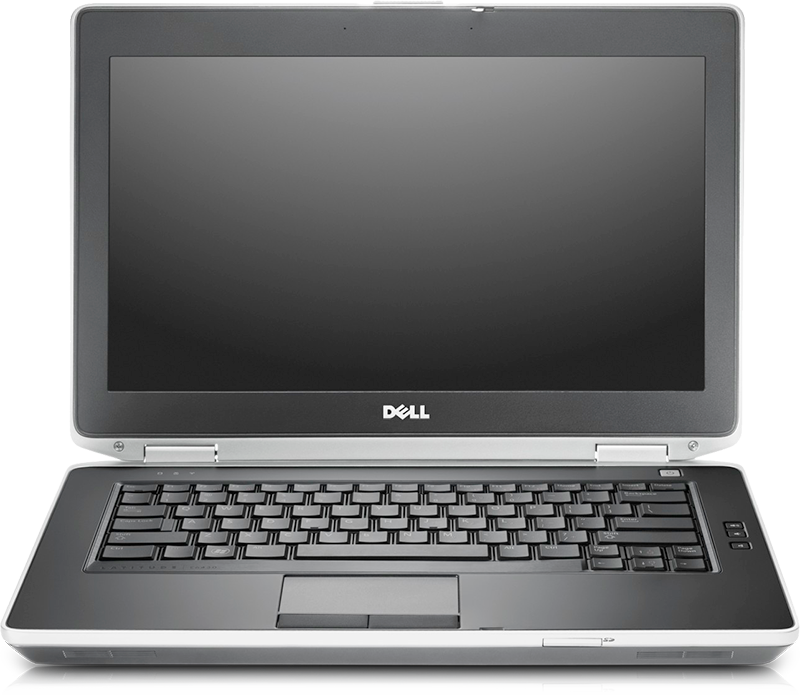 Our Latitude E6430 consumes just as little energy as the Elitebook during full load (Prime95 + FurMark) with 50.4 Watts. The ThinkPad requires up to 84 Watts due to its powerful GPU. So, we see that our test device is the most energy-efficient model in the compared test field. With its 6-cell battery that has a capacity of 62 Wh according to HWiNFO, our Latitude lasted for 8h and 46min in the Battery Eater Reader”s benchmark before it had to be reconnected to the mains again (minimum brightness, disabled WLAN and enabled energy-savings mode). Thus, you may be pleased if you like to read eBooks on the go. Of course, our standardized Wi-Fi browsing test is more interesting for most readers as it allows conclusions on battery life in real-world conditions. Here, a few websites and online media (e.g. HD videos on YouTube) are visited via a script using enabled energy-savings mode and a screen brightness of roughly 150 cd/m2. 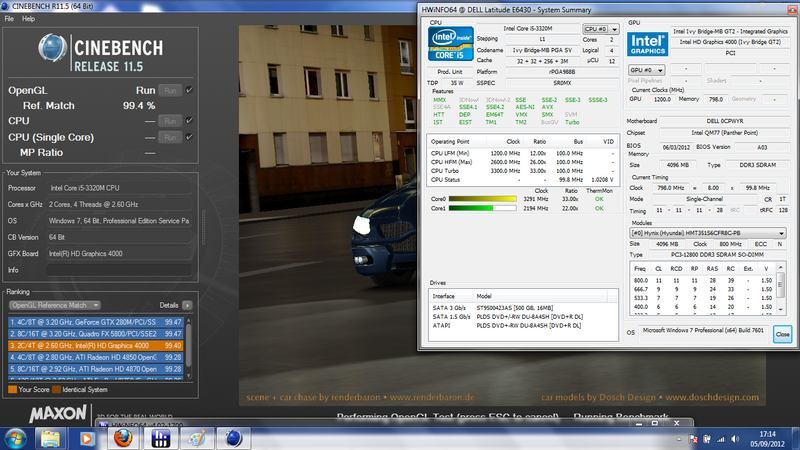 Our Latitude lasts for 5h and 36min and is on a par with the Tecra R840. The Elitebook 8460p lags behind with 5h and 13min and, with its much bigger 94 Wh, 9-cell battery, Lenovo”s ThinkPad T430 only extracts about an hour more with 6h 29min. As mentioned, a battery with the same capacity is also available for our Latitude for fairly low 59 Euros (~$76) extra and it should be good for up to seven hours away from the mains. It is even possible to take DVDs along with you on the go. 4h 54min should be enough to easily watch two average-length blockbusters before the battery is drained. Our test device is exhausted after 1h 42min of heavy load (Battery Eater Classic). Thus, it also fares very well here and lasts roughly 20min longer than the comparison devices with a 6-cell battery. This confirms that the E6430 is more energy efficient than its contenders. The Latitude E6430 offers a rock-solid, stable basis and a vast range of partly relatively low-priced configuration options. As unspectacular and modest as business laptops may appear at first glance, you would never guess how much performance they often hide inside. In the Latitude E6430”s case, we are faced with a slightly different case design - as usual, beauty is in the eye of the beholder - but the other qualities of the aluminum/magnesium chassis are convincing. Its stability and rigidness pleases immediately - just like the solid hinges that have a firm grip but nevertheless allow the lid to be opened smoothly. Beyond that, the maximum opening angle of 185° allows work in every (im)possible position - the vents are placed so that using the device on the lap does not leave you gasping for air. However, the competition also convinces with solid and rigid cases. We admit that we would rather have a cheap configuration. 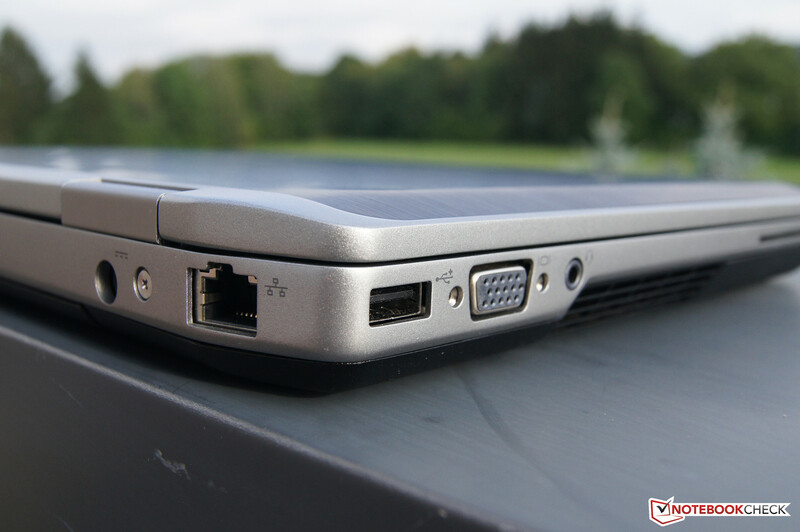 Thus, we have to painfully live without a HD+ screen, as used in the ThinkPad T430 or Elitebook 8460p, for example. The test of the prior Latitude E6420 shows that Dell”s HD+ screen option for a mere 37 Euros (~$48) extra would supply outdoor suitable brightness rates and thus be a very recommendable upgrade in contrast to our poor TN screen. 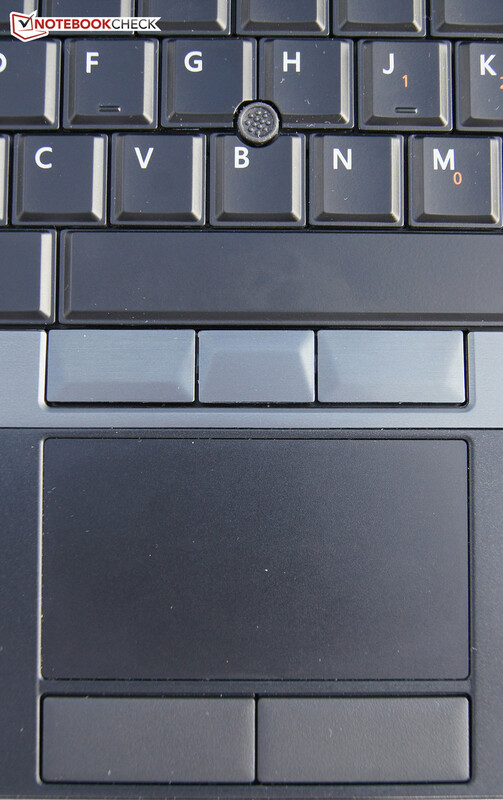 The noise produced by the keys while typing on them also seems loud and clattery. The rest of our configuration is pleasing and the comparatively low-priced Latitude even breaks our record in PCMark 7”s computing test and beats the now second-placed device by a whole 18%. 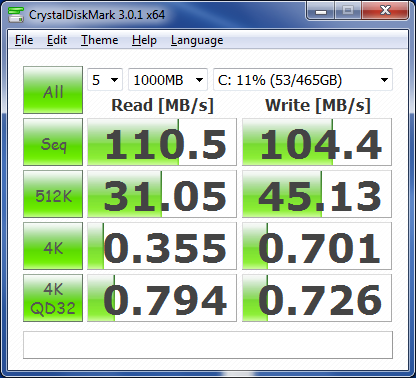 The conventional hard disk also writes and reads quite fast and places yet another cornerstone for the system”s very good speed. The modest as well as well-designed fan management also spares nerves, especially in larger offices. In a nutshell: the purchase decision is yours - or better said, it depends on your intended use. If you like the case design, do not play sophisticated games and are not exactly planning to work with CAD software, there is absolutely nothing that speaks against the Latitude E6430. And it can be put on the desk at the office for a relatively low price.